Ukraine is becoming a most attracting destination for the students who want to pursue a medical degree from an overseas country. Studying medical from Ukraine gives many benefits to the scholars. 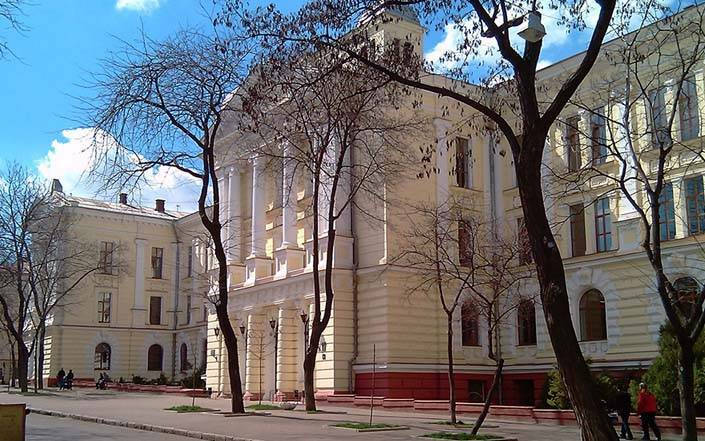 Odessa National Medical University is one of the most influencing and famous medical universities in Ukraine and Europe. Quality education combines with the modern facility with low tuition fees and perfect studying atmosphere attracts many foreign scholars to pursue their dream of becoming a doctor. The degree students get from Odessa National Medical University is well recognized in the whole world. Furnished with all the modern tech, Odessa National Medical University is famous for its well and quality education. To get admitted in Odessa National Medical University scholars don’t need to give any entrance test. All you need to do is simply register yourself with them. With the low fee structure and European standard education, ODESSA NATIONAL MEDICAL UNIVERSITY becomes the first choice of the students. The degree and the way of teaching are accepted worldwide and allow students to practice from any corner of the world. Worldwide acceptance of the degree opens several job prospects. Admission in UG and PG courses are open to all foreign students, who fulfill the qualification of ODESSA NATIONAL MEDICAL UNIVERSITYand of the respective country. The admission is served on first come first serve basis, the date of applying starts from 1st July to 1st October of every year. Application form along with the prospectus can be received from the Representatives of ODESSA NATIONAL MEDICAL UNIVERSITY in the respective state/country to which the students belongs. Admission in ODESSA NATIONAL MEDICAL UNIVERSITY will be confirmed only after screening/counseling of the required documents/application form of the candidate. Birth Certificate by local municipal authority. Notarized photocopy of all the Certificate and Mark sheet of class 10+2 or similar. Notarized photocopy of all the necessary Certificate and Mark sheet of MBBS or similar exam. As per the instruction of Ukrainian Management the student visa is issued by visa section of Embassy of Ukraine only from 15th August to 15th November. The official request for studies in Ukraine is given by ODESSA NATIONAL MEDICAL UNIVERSITY on the basis of which Ukraine Embassy provides a visa to travel Ukraine.